Realme, the smartphone brand in India, launched Realme U1 as the most powerful selfie-centric phone, in the capital today. 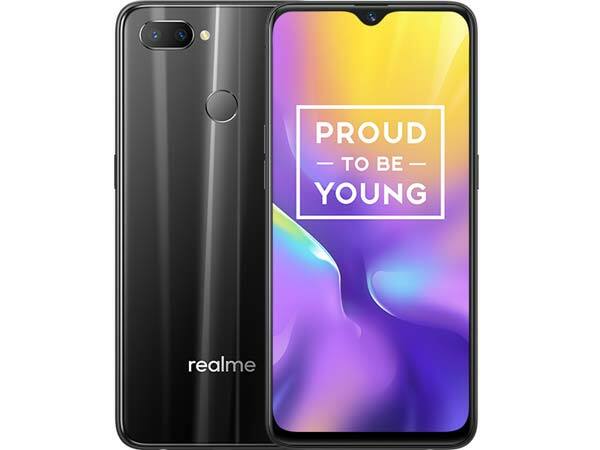 Realme U1 is the first ever smartphone powered by the AI master MediaTeK Helio P70 processor globally. The device comes in two variants; 3 GB RAM + 32 GB ROM at INR 11,999/- and 4GB RAM + 64GB ROM at INR 14,499/- in three exquisite colours, Fiery Gold, Ambitious Black and Brave Blue. Specifically created for the Indian selfie lovers, the smartphone comes with an AI 25 MP front camera with Sony IMX 576 flagship sensor and 6.3-inch FHD+ Dewdrop Full Screen. The device with Ambitious Black and Brave Blue colours will be exclusively available on Amazon.in from December 5, at 12:00 noon. The Fiery Gold version will be available from around New Year, 2019. Pro series, the flagship for youth – Realme 2 Pro, with powerful features and style,” he added. Compared with its predecessor P60, P70 has much stronger performance in taking photos. The brand new HD depth-of-field engine improves the in-depth mapping performance by 3 times and supports 24fps smooth preview of bokeh effect, with less power consumption. Furthermore, the enhanced AI performance ensures better exposure, focusing, and white balance in the face recognition and scenario recognition modes. P70’s powerful image processing capacity, coupled with Realme’s optimization at the software level, gives U1 an HDR function capable of real-time preview. The HDR effect can show in the frame in real time. To satisfy young people’s tastes, the Realme U1 adopts a more fashionable and bold design style, replacing plain, solid design with a unique light pillar effect. In different lighting, rotating the mobile phone shows off a unique textured look from different angles. To achieve this, the back panel of the mobile phone is constructed using a 13-layer micron-level coating that has been baked and polished at very high temperature, with layers finely joined to achieve atomic-level bonding between the laminates. 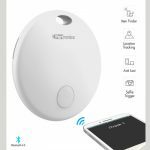 The result is a back cover that combines transparency and rugged durability. The U1 has a screen-to-body ratio of 90.8% and a screen ratio of 19.5:9, for ultra-wide field of view that greatly enhances the efficiency of information presentation. Users will achieve more immersive visual feedback while browsing images and watching videos. In terms of resolution, the U1 is equipped with a 2340*1080, 409PPI screen that takes picture clarity to the next level. Its 1500:1 high contrast and 450nit brightness screen allows users to choose 1080P HD mode while watching videos on YouTube, greatly improving their viewing experience.